Long time no soup, Astroworkers! Massive here to bring you the details on our latest update. We’ve made a number of big changes, fixed a lot of bugs, and added some features that you in the community have asked for. 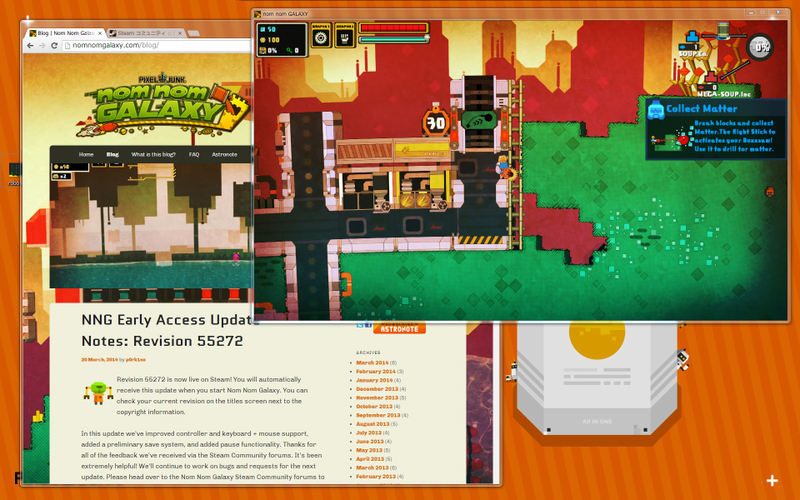 We’re almost ready to go full steam, as it were, and just have a few more things to experiment with. This update is another big one, so get ready! 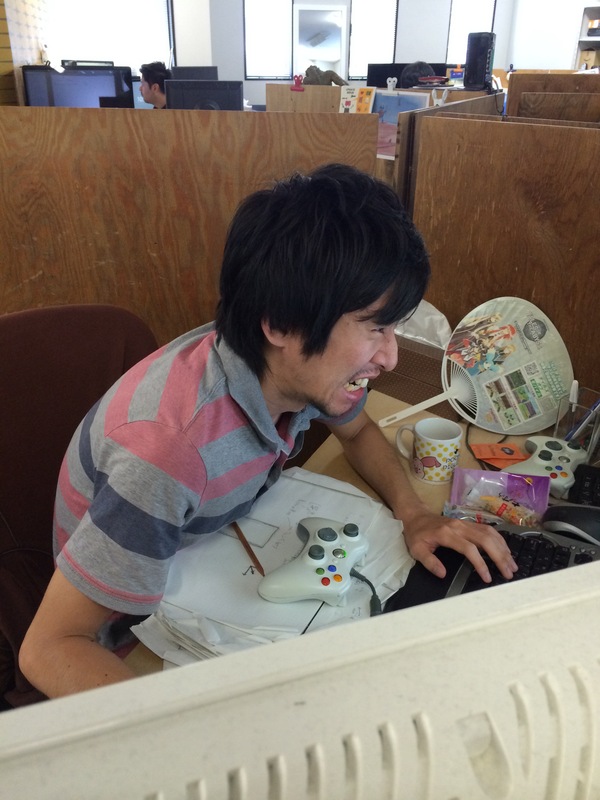 In this update we’re finally bringing something that you’ve wanted for a very long time: 4P ONLINE CO-OP! Now you can attempt to corner the space soup market as a member of a capitalistic quartet, delegating task to those best suited for the job like a BOSS! Explore further, build bigger, fight harder, MAKE THAT MONEY! 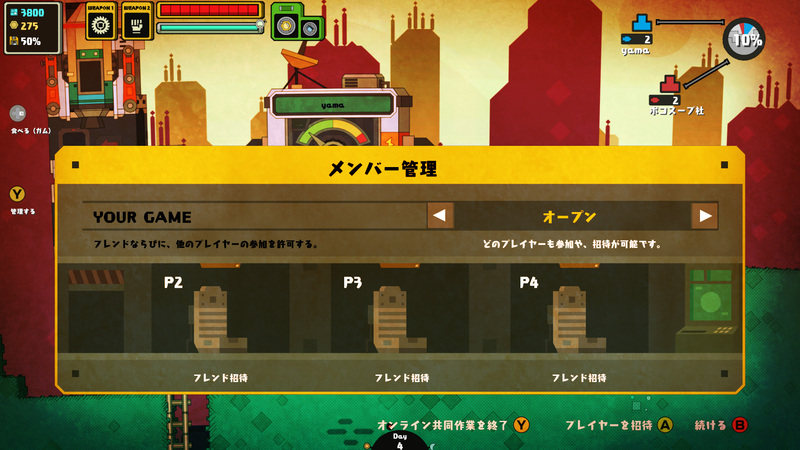 You can combine 4 individual players or 2 local co-op and 2 other individual players. You can even use the newly added friend invite system to build your team! This feature is still being improved, so the friends you invite will need to have Nom Nom Galaxy running or they won’t automatically join the session. However, this will be streamlined in the future. We’ve also been listening to your feedback and requests in response to the game in general and the 00.99a update in particular, and a number of those are also reflected in this update. The first of these is: you can now choose which gum to chew! Galactic Gum comes in a variety of flavors that do strange, science-type things to Astroworkers, but until know you were completely at the whims of fate as to what you could use and when. This has been changed so you can now choose the best stick of gum to chew when a potentially life threatening or financially explosive situation is impending! Need more defense funding? Gold Rush! Pesky rock wall in the way? Boulder Bash! The power is yours! We moved the DANGER banner! Although the purpose of this display is to warn Astroworkers of impending danger, it was often responsible for its fair share of headaches itself, by obstructing your view of the action. The position has been lowered to avoid this, and the transparency of the banner itself increased. Now YOU are the danger. Corridor parts can now be overwritten with parts of a different shape, costing only the matter difference between the two. This should help with speedy renovations of the factory to better accommodate Astroworker needs. Previously, plant growth conditions did not carry over into S.O.O.P. mode when starting with a Conquest mode factory, but this has been remedied. 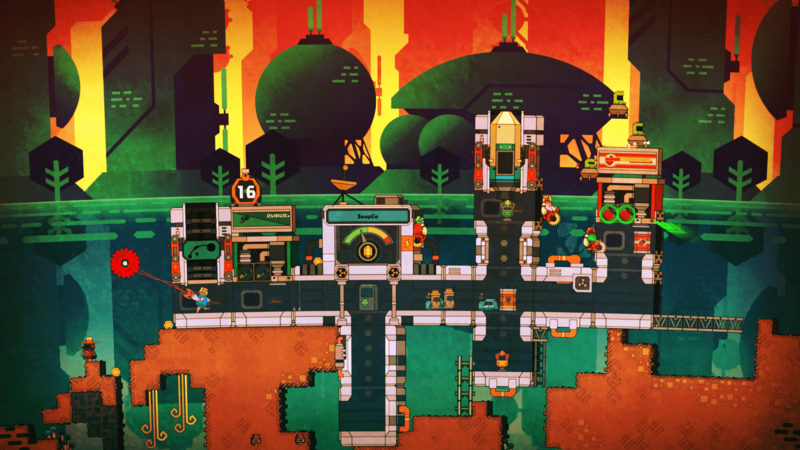 Now Astroworkers can continue cultivating their little stretch of land uninterrupted! Also, to make automated gardening more effective, Clarence’s harvesting time has been increased to prevent gardens from being destroyed. 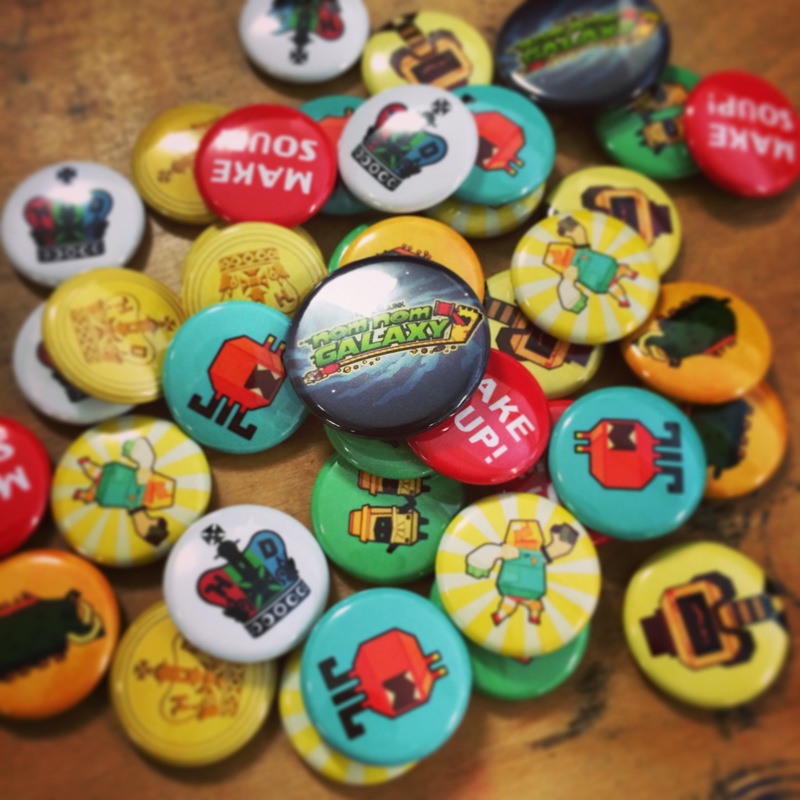 With only one week left we’re in the thick of getting Nom Nom Galaxy for PAX next week! 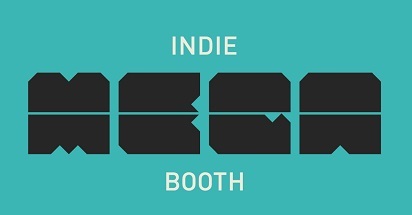 I’m proud to say that Nom Nom Galaxy was selected to be part of the Indie MEGABOOTH once again this year. 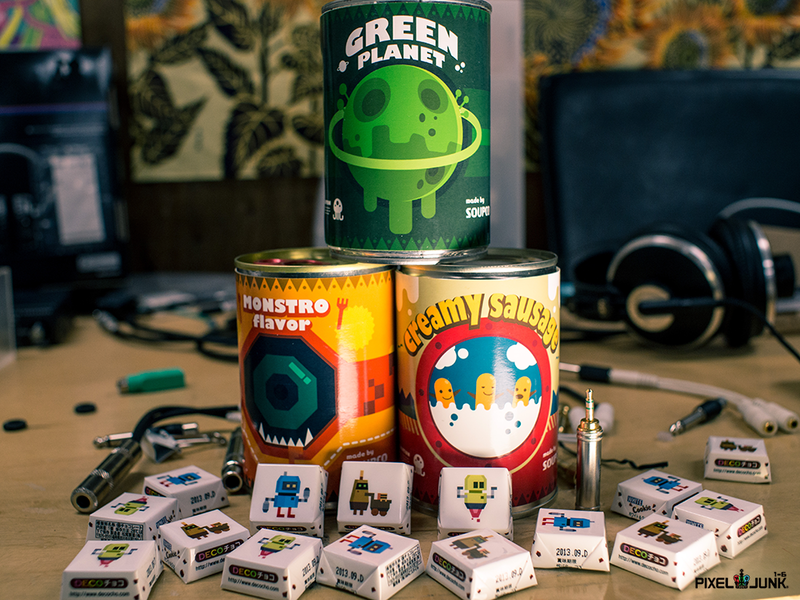 And as you’d expect from Q-Games, we’re bring some new flavors to the show! More details are coming in next week’s update, but as a hint I’ll just say that the Soup Co.’s empire is expanding into new regions, bringing new tastes and new dangers! Last year we gave out fans, buttons, and Japanese Kit Kats to folks that stopped by to play Nom Nom. This year we’re upping the ante! 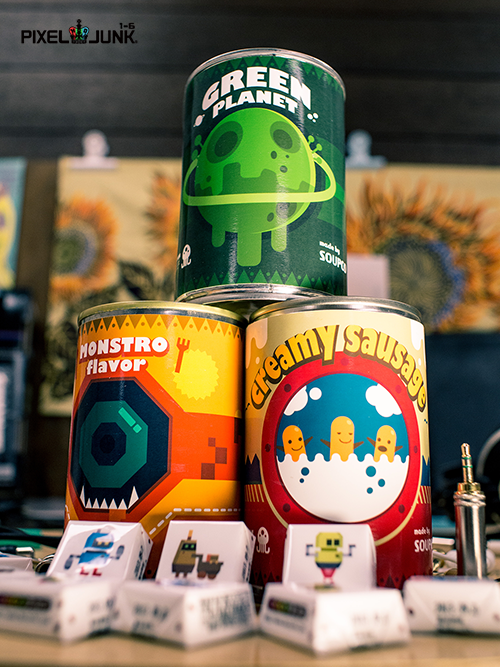 We’ve got all of the above, plus some pretty sweet Nom Nom Galaxy t-shirts for the lucky folks! 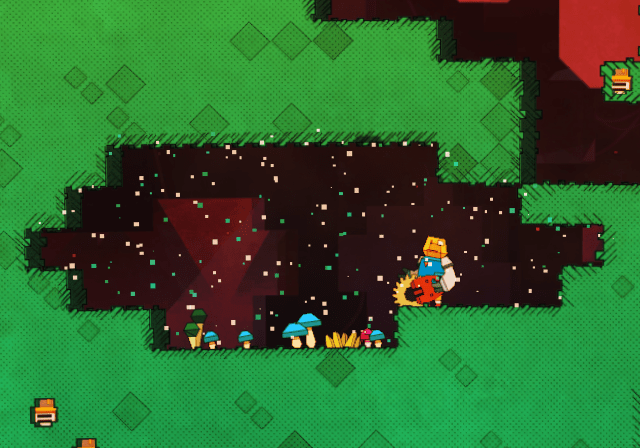 You’ll find Nom Nom Galaxy in the galactic corner of the Indie MEGABOOTH in booth #41 next to 17-Bit’s Galak-Z. Come join us in space! Nom Nom Galaxy 1 Month Anniversary: Let it Grow! Hello everyone! Beer-chuggin’ artist Yamamura here with this week’s update! Folks looking to build their own farms will find this week’s update particularly helpful! This week marks the one month anniversary of our Early Access launch. It’s been an eye-opening experience, to say the least! Our first order of business has been making sure that everyone can have a go at making their own soupy base. 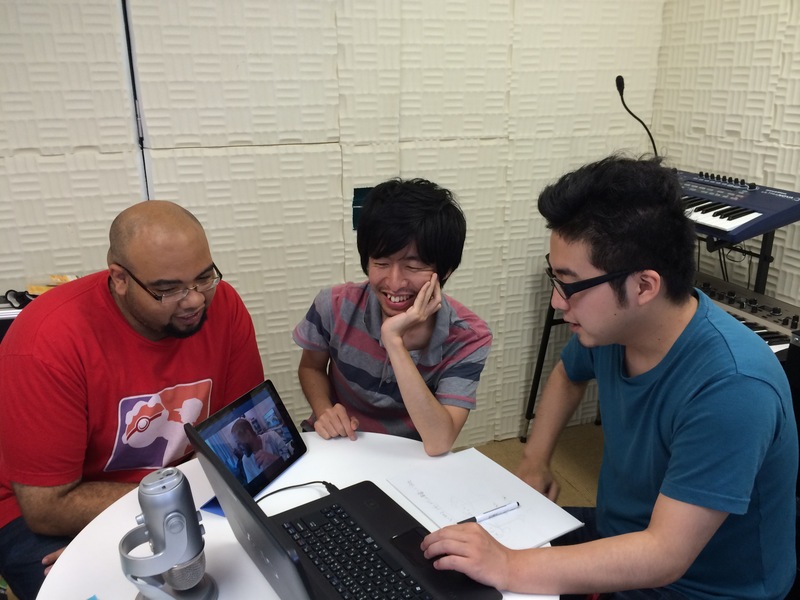 And to that end, we’ve been hard at work improving compatibility, fixing bugs, and optimizing code. We know that we’ve still got a long way to go! We want to hear your feedback, so feel free to jump into the Nom Nom Galaxy Community on Steam and let us know what you think. 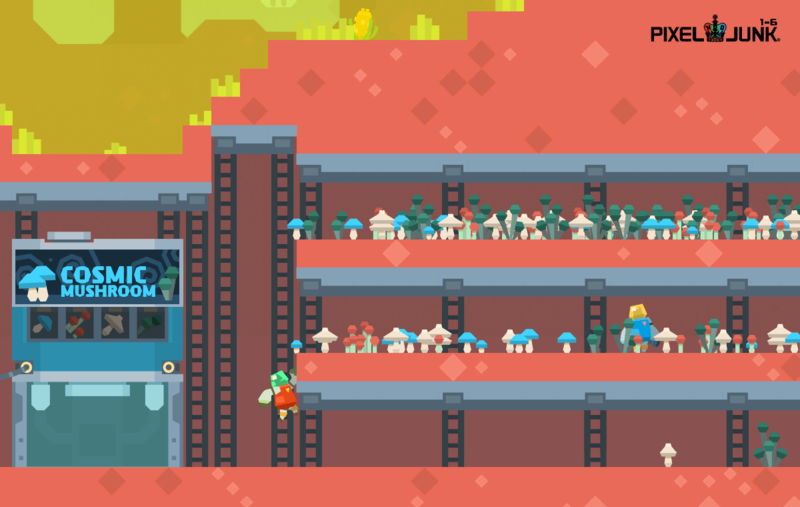 You can also upload screens of cool bases or fan art and we’ll be sure to share it on Twitter and Facebook! 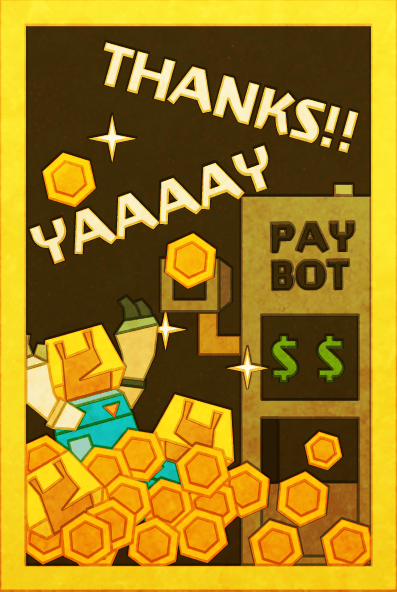 Most importantly, we’d like to thank all of the fans that believe in PixelJunk and Nom Nom Galaxy. We’ve come so far in the month with your help! We appreciate everyone that takes time to report bugs, offer feedback, and posts videos or screenshots. Thanks to you the soup is getting more delicious each week! Hey! Your friendly neighborhood beer-loving designer Yamatron here. Cherry blossoms are in full bloom in Kyoto this time of year. It’s the perfect time to crack open a beer and enjoy the beauty of nature! It’s also a great time to enjoy Nom Nom Galaxy! 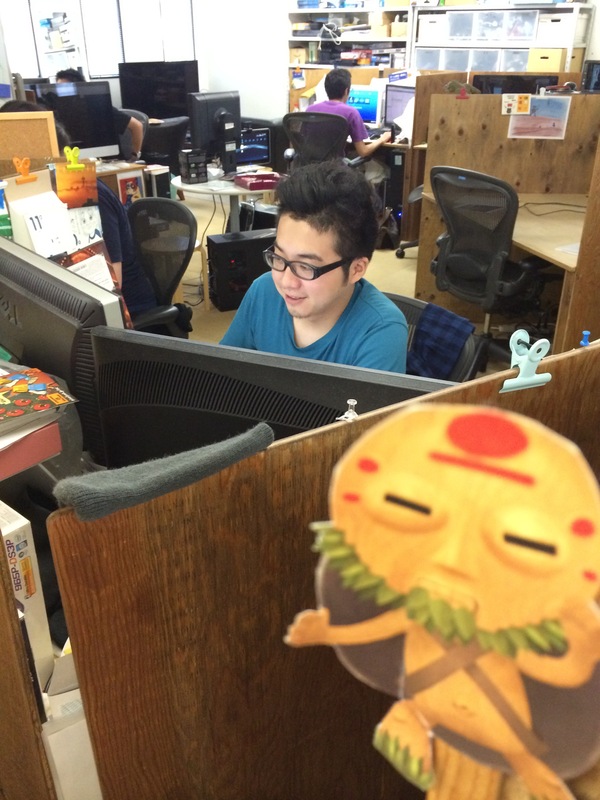 This was a short week for us – Q-Games had a little spring break to enjoy the cherry blossoms – so there are only a few updates and bug fixes. 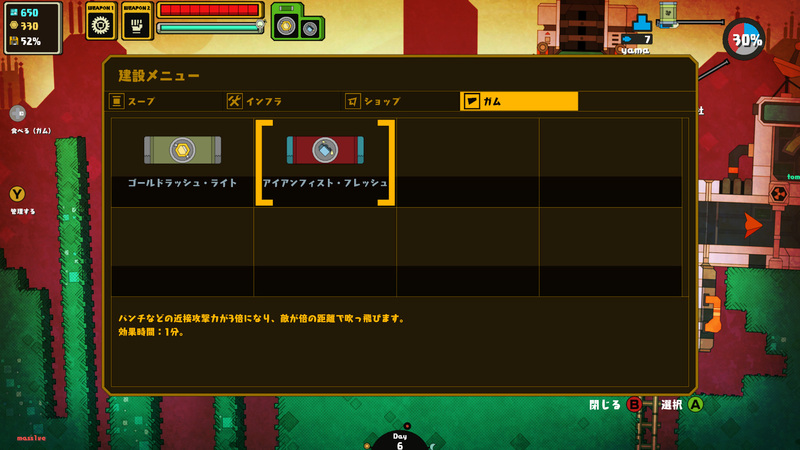 Weapons will now automatically equip when picked up. We’re testing out a new UI interface with context sensitive icons on the left side of the screen for both keyboard + mouse and controller players. Please let us know what you think. At the moment, vehicle actions haven’t been implemented. Fixed a bug causing weapon batteries, like the sword, to incorrectly reset after a player dropped and then re-equipped them. Fixed a bug causing building maintenance menus to become stuck on the screen under some conditions, like using them while riding a vehicle. Some buildings were magically receiving power while disconnected from the main base. This has been fixed. Fixed a bug causing soup rockets to remain hovering in the air upon return if the Soup Launcher lost power. The update this week should give you some more options with which to view the Galaxy! Playing in a window is now supported! This should help some folks attempting to make videos or having trouble with their fps. Finally, the Astroworkers United Union contract with Soup Co. stipulates that all Astroworkers have April 1st off for quiet reflection, pranks, and more reflection on the consequences of their pranks. Meaning, Nom Nom Galaxy will be Astroworker-less on April 1st! If only there was someone who could feed the hungry citizens of the Galaxy! And then there was two! 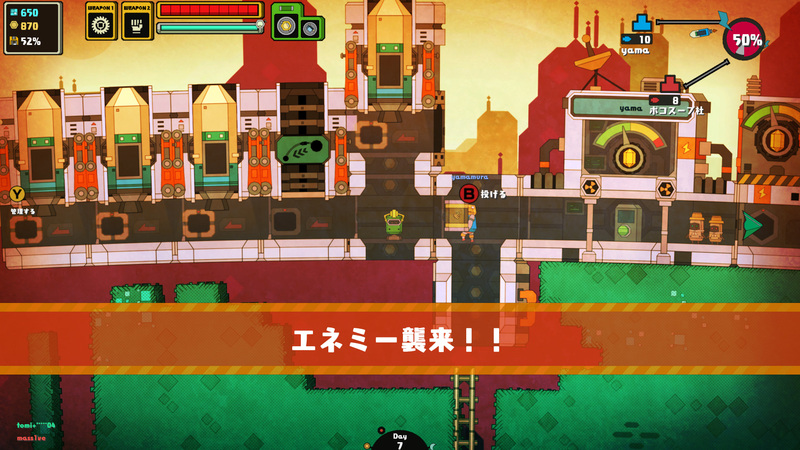 We implemented local co-op testing this week with a gamepad. It’s not too great though..